Like few other cultures in the world, Italy is synonymous with food. Beyond the pizza and pasta we all know and love is a kaleidoscope of regional variations, tiny twists that differ from one town to another, preferences for certain ingredients not available outside local borders, family recipes, centuries of tradition and beloved delicacies. So how do you go about stocking an Italian pantry at home? There are Italian cooking staples that transcend regional borders. With these Italian kitchen essentials in hand, you can throw together a delicious meal from almost every region of Italy, exploring the culinary heritage of the country without ever leaving your dining room table. Need help locating the best quality Italian ingredients? Check out our food club! Tasting the best extra virgin olive oil on our progressive dining crawl in Florence! No Italian dish can be successfully made without olive oil. Italians even use it in their cakes and biscuits instead of butter! No matter how tempting the supermarket shelves look, you really only need two types of olive oil. A good, reasonably priced one for cooking and a smaller bottle of more expensive extra virgin (or light) olive oil for seasoning salads and finished dishes and for baking. Always read the packaging very carefully. Italian olive oils are not cheap and it’s easy to pick up a brand that sounds Italian only to discover the oil inside is Turkish or Greek. Always buy dark green bottles or aluminum cans and store your oil away from light or heat. When buying extra virgin olive oil, don’t forget to look at the harvest date. Oil loses flavour as it ages and you want a bright, fruity, almost grassy olive oil for seasoning or drizzling on top of your amazing risotto. Add basil, chili or garlic and infuse for a week for homemade flavoured oil. Picking fresh herbs from the garden during our Tuscan culinary lessons! When you can get them, fresh parsley, oregano, basil, rosemary and chili are the essential Italian herbs, but since this is an Italian staple foods list and we all know how easy it is to kill fresh herbs, there is no shame in stocking the dried variety. My Calabrian nonna swears by them and often uses them in place of fresh herbs. Just remember a little goes and long way and try to use your herbs within 6 months or they’ll have lost all their flavour. And always, always have plenty of fresh garlic on hand, never the pre-minced kind that comes in a jar. There is nothing you can’t do with a good can of tomatoes. Unfortunately it’s very hard to find one outside of Italy. Your best bet is to make your own. Your second best bet is to buy imported Italian tomatoes that don’t contain calcium chloride. This additive stops the tomatoes from falling apart, which is exactly what you want them to do! When shopping, stick to canned whole tomatoes, then adapt by chopping or pureeing, as the recipe requires. San Marzano are the best tomatoes for canning and never be afraid to add a little sugar. Tomatoes can be quite acidic and any nonna worth her salt, adds a pinch of white sugar before serving her sauce. We taste boutique vinegars on our Food Lover's Tour in Florence, too! Put the grocery store balsamic vinegar (aceto balsamico) down. 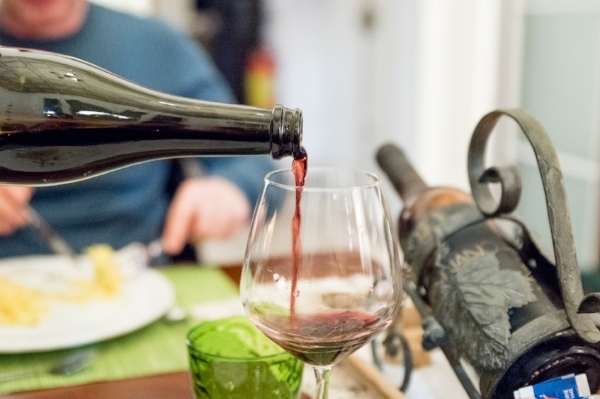 Despite what most people think, Italians don’t pour balsamic vinegar over everything. High quality balsamic vinegar usually reserved for seasoning dishes like raw beef tartare or a Bistecca Fiorentina and it is the very best aged variety from Modena when they can afford it. Every other day, Italians use red wine vinegar (aceto di vino rosso) on their salads and raw vegetable dishes and white wine vinegar (aceto di vino bianco) when they want a lighter flavour and don’t want to ‘mark’ their finished dish with red wine streaks. A snap of a decadent umami-rich pasta recipe from our food club, complete with pasta, parmigiano-reggiano and seasonal dried specialties like porcini! The number of different pastas is truly mind-boggling. So when it comes to stocking an Italian pantry, stick to the essentials. Two short pasta types – penne and rigatoni – and three long ones – linguine, spaghetti and fettuccine – with a small space for soup pastas like risoni if you’re a fan. If you’re like my Tuscan husband, you’ll have a pasta type for every single sauce and faint at the mere suggestion of using a substitute. But for those of us who aren’t pasta nuts, just remember this general rule: Long pastas go with smooth, oily sauces and fish dishes like pasta marinara. Short pastas go with chunky sauces like ragù. The last Italian kitchen essential is the porcini mushroom. It’s a must for Northern and Central Italian cooking, appearing in everything from polenta dishes to risotto and braised meats. Always buy Italian and be prepared to splurge. True dried porcini mushrooms are expensive. If it’s cheap, then it’s a mixture of other dried mushrooms with a hint of porcini. 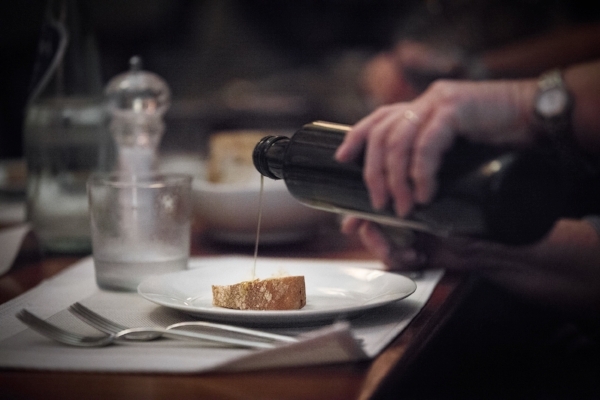 Good aged Parmesan is the final touch in so many Italian dishes. Don’t, however, assume it goes on everything. Fish dishes and garlic-and-oil based sauces should never been showered in grated cheese no matter how much you love the stuff. If Parmigiano reggiano is outside your budget, aged pecorino is a good alternative, and often preferred in spicy pasta dishes. The Japanese call the fifth taste umani. Italians just call it acciughe. You might hate the flavour of these tiny fish right out of the jar, but when used correctly, they melt in the background, providing tons of (non fishy) flavour. Always buy anchovies packed in salt and rinse before using. Another salty hit of flavour that’s very popular in Southern Italy. The best come from Pantelleria, an island between Sicily and Tunisia. Not just for oil, Italians love olives. Smaller black olives (never Kalamata) are used in cooking, while green olives (un-pitted without the pimento) are kept for eating. With a can of cannellini beans and another of chickpeas (ceci), you can make enough Italian dishes to get you through an entire winter. The beans can be braised on their own in tomato sauce or as part of rich pasta dishes like pasta e ceci (pasta and chickpeas). So many Italian dishes start with a soffritto (sautéed onions, celery and carrot) deglazed with red or white wine. Buy the best you can afford and always remember, if you wouldn’t drink it, you shouldn’t use it in your kitchen. The ultimate Italian pantry ingredient, it might be expensive, but a little goes a very long way. Always use at the end of cooking to preserve its delicate, but delicious flavour. Hungry for these pantry essentials? We have a gourmet club exclusive for our readers and culinarian guests- a curated box of must-have Italian ingredients from small, independent producers hard to find abroad. Curious for more info? Contact us and join the club!